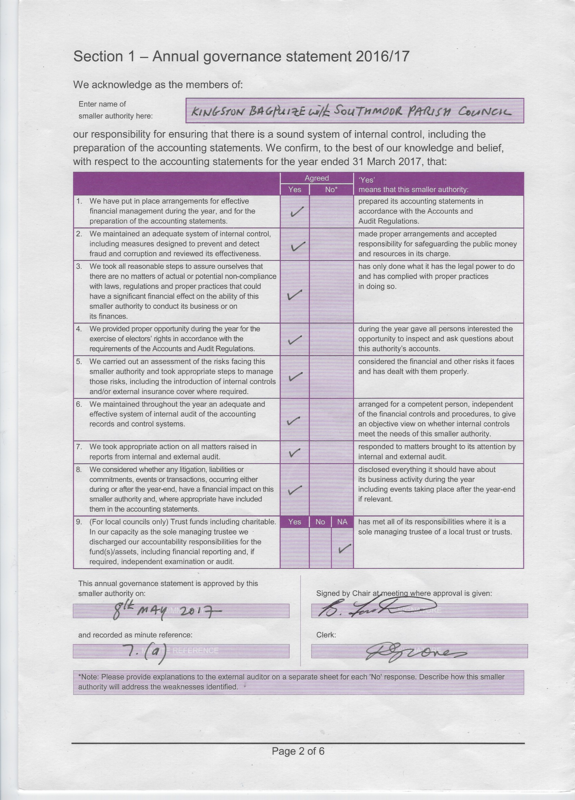 The Council raises a limited local precept which is collected on its behalf by the District Council as part of the council tax. For information grants please below. 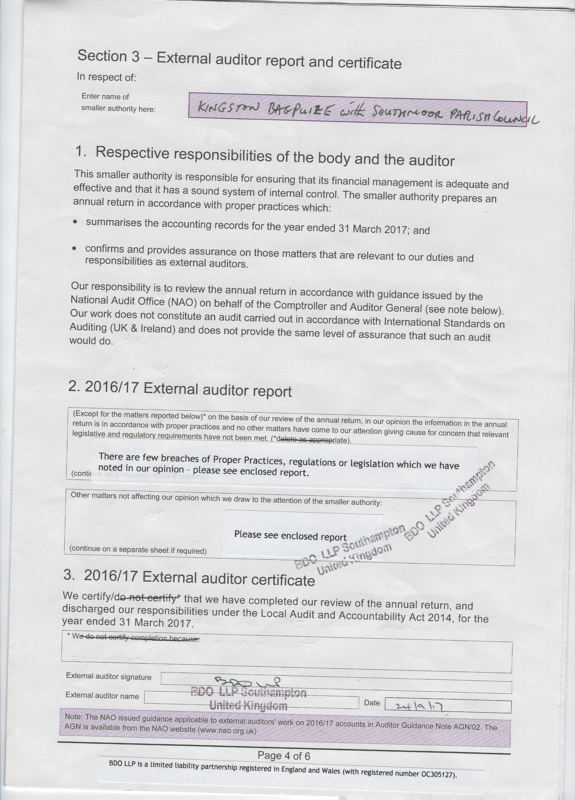 The audit of accounts for Kingston Bagpuize with Southmoor Parish Council for the year ended 31 March 2018 has been completed and the accounts have been published. Please email [email protected], or call 07908 472827) to make arrangements to view on Mon, Tues & Thurs mornings, 9.30am-12.30pm, or click here. Copies will be provided to any person on request. What is the benefit of the proposal to the parish or its residents? Are the proposal's objectives realistic and will the grant requested, along with other funds, cover the costs involved? Are additional funds being sought from other sources? 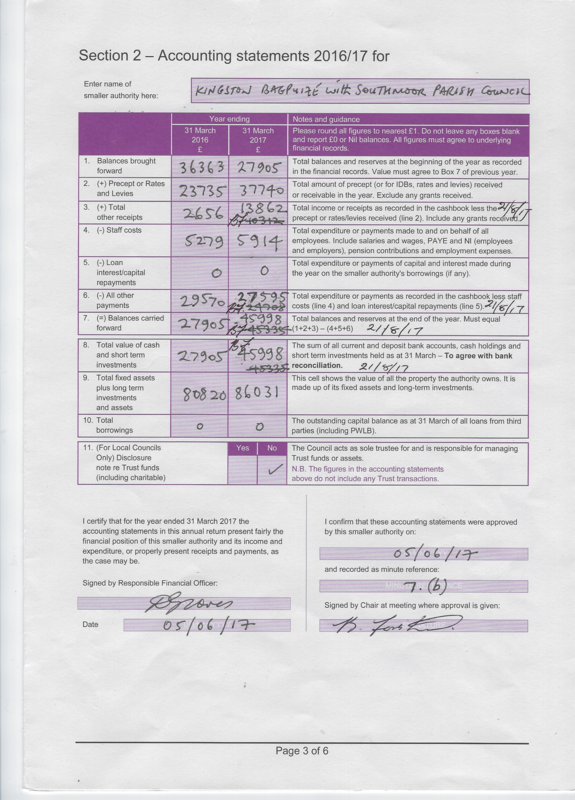 Applicants should note the that the Council does not grant loans. Conditions may be applied to grants for larger capital projects and the Council may require feedback on the outcome of the project. Please contact the Clerk if you need further information.